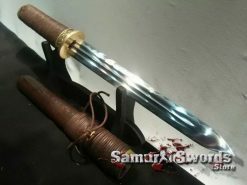 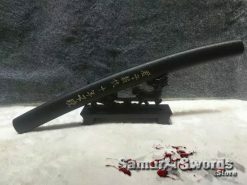 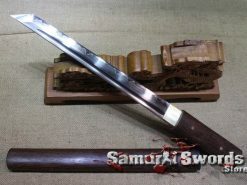 This Katana sword has a blade length of 72 centimeters, a handle length of 27 centimeters. 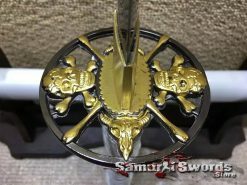 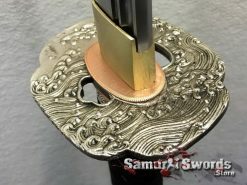 Its tsuba (handguard), fuchi (hilt collar), kashira (pommel) and its menuki (handle ornaments), are all made of metal alloy. 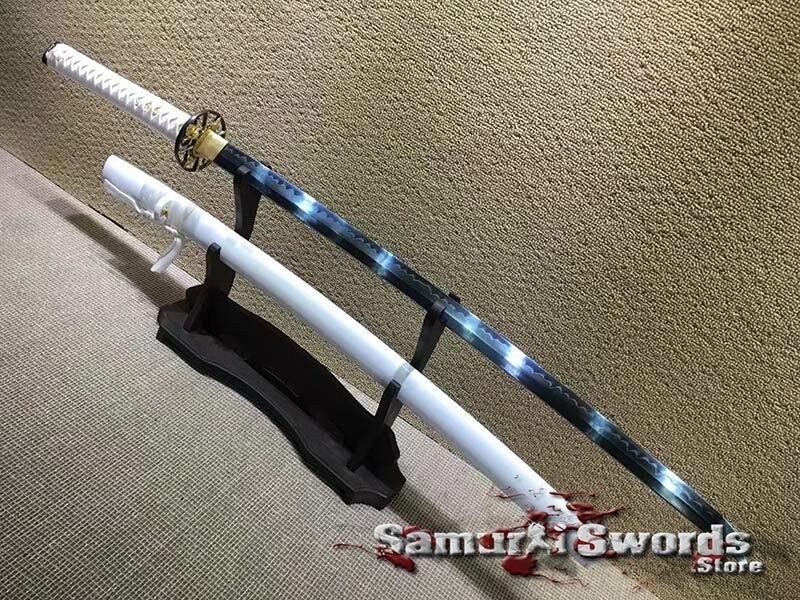 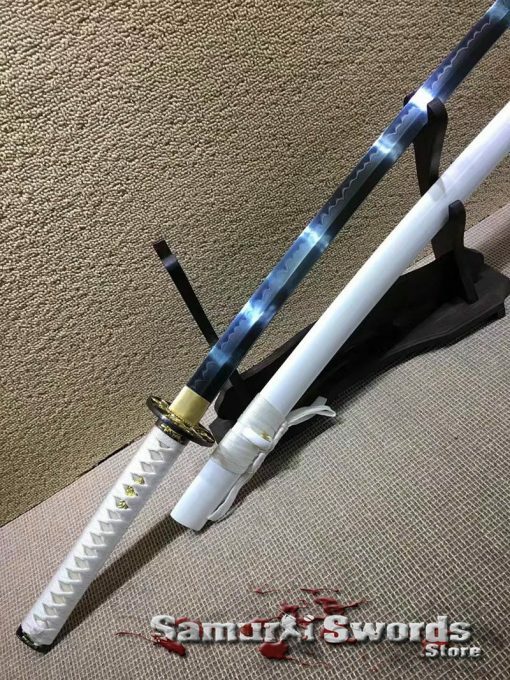 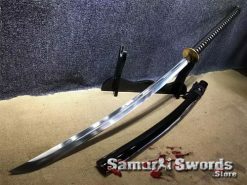 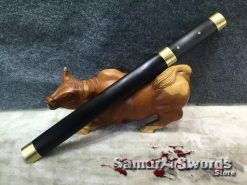 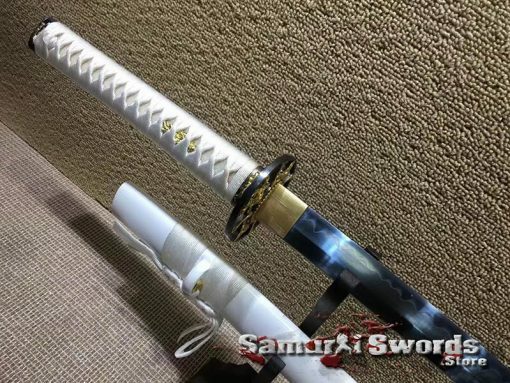 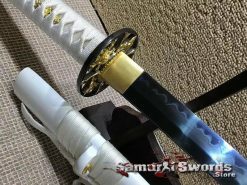 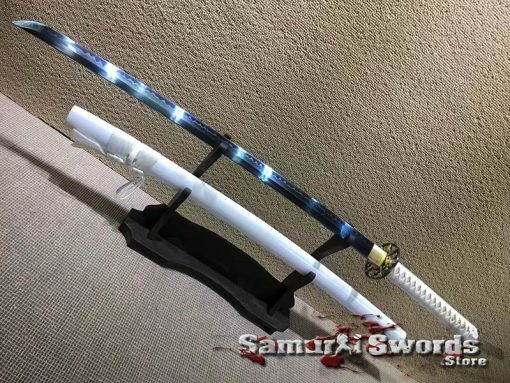 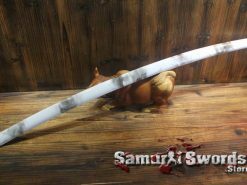 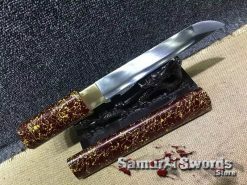 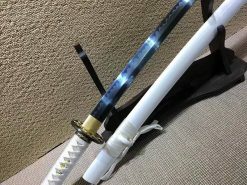 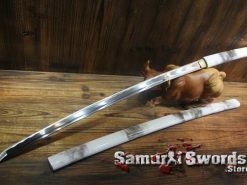 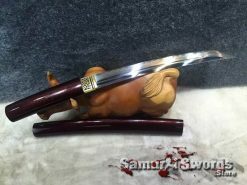 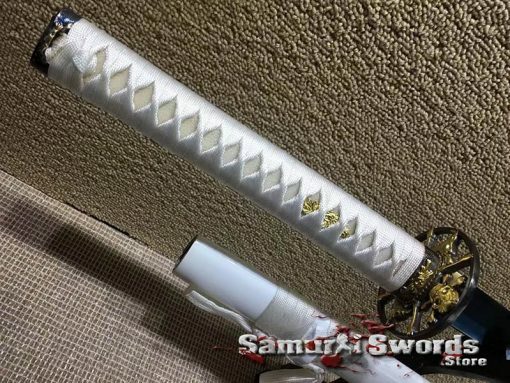 It is a full tang sword that It is fully sharpened and protected by a classic white saya with an elegant white tsuka ito and rayskin samegawa. 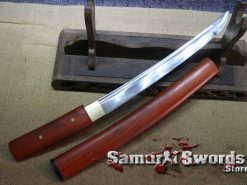 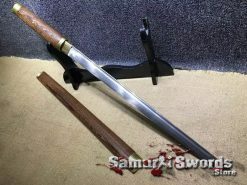 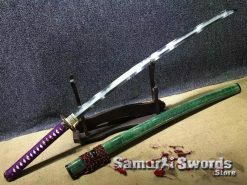 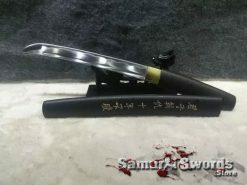 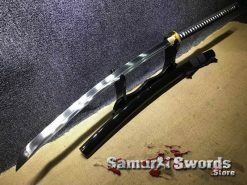 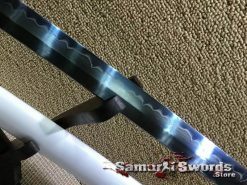 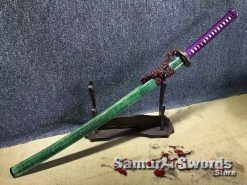 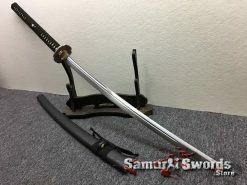 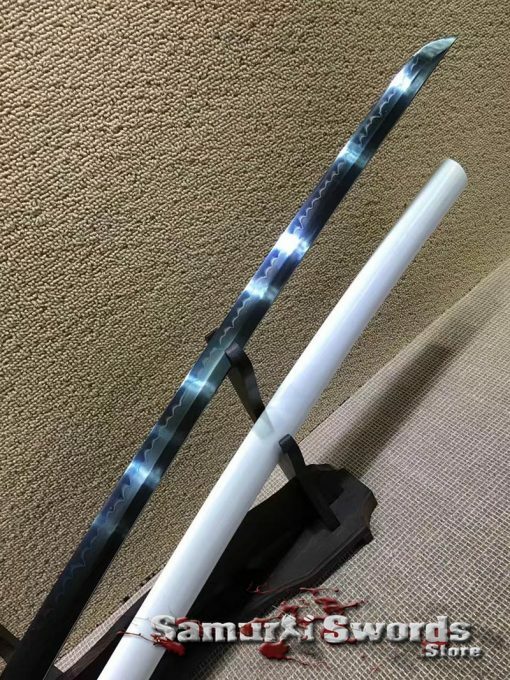 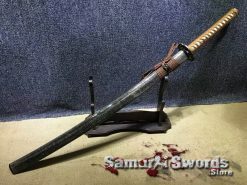 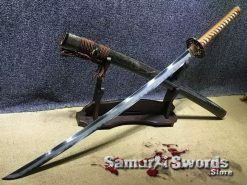 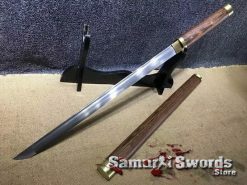 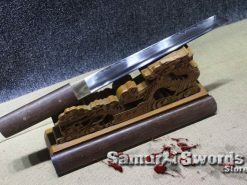 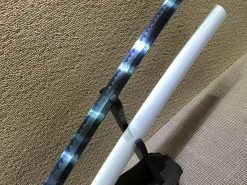 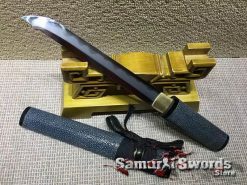 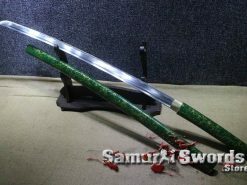 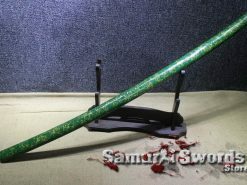 This swords steel type of T10 makes it an ideal use for tameshigiri (bamboo/mat cutting), as well as for training and practice. 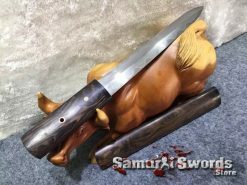 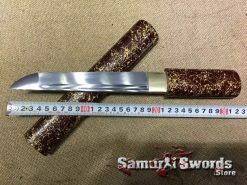 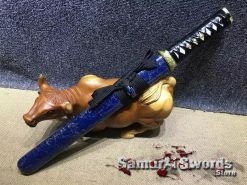 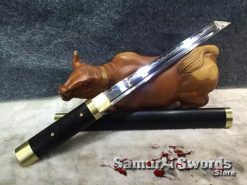 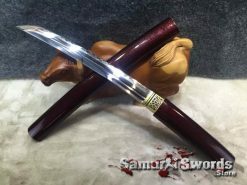 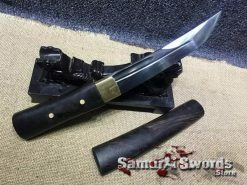 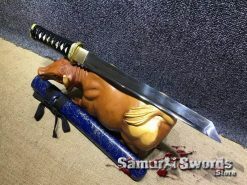 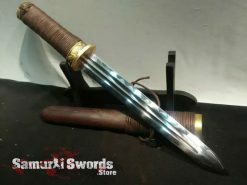 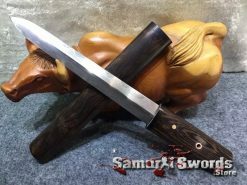 The T10 steel, also called High Speed Steel, is a superb material when it comes to making samurai swords. The tungsten component present in this type of steel adds extra protection from scratches. It is also extremely durable. 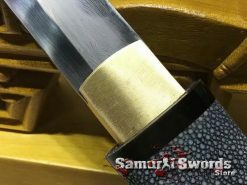 The said qualities are maximized when properly clay tempered. 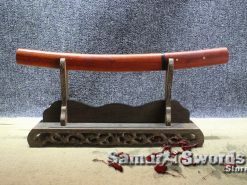 An exposure to the fresh air, along with repetitive cleaning with Choji oil and polishing, are also necessary.